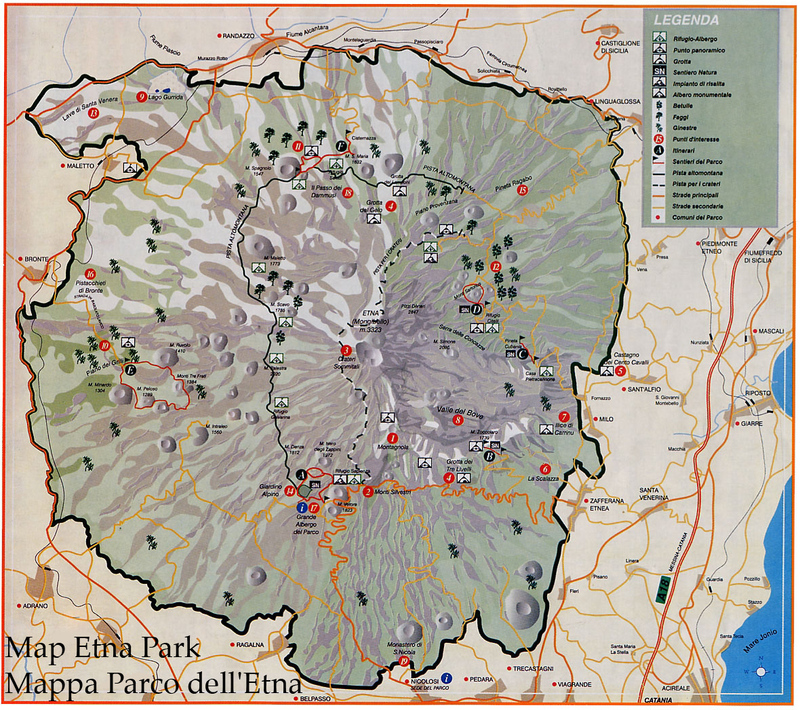 The excursion that we propose has as scenery the peak craters of Etna in all their majesty. The departure is from 1.900 m a. s. l.- South side of the volcano – North of Nicolosi. First you will take a cable car and then a special off road minibus to reach 2.900 m a.s.l., where, with an authorized alpine/volcanologic guide you will walk until 3.300 m. From this altitude you can admire the impressive summit of Etna and, therefore, the active craters of Etna and their spectacular grandeur (Bocca Nuova – Voragine – South-East Crater – North-East Crater). During the descent it will be possible to explore the places and the craters of the recent eruptions. The above-cited descent will be realized on foot, in company with the guide from 3.300 m to 2.500 m, where you will re-take the cable way to come back to the point of departure. The excursion above-mentioned, will permit you, in an unique and striking scenery, to reach the summit of the highest active volcano of Europe, and for this reason that this tour is organized with not too many people. Price from euros 85,00 per person all inclusive (cable car round trip, jeep just one way, guide, equipment). The excursion take places along sand canals and old lava flow.